Popular superSpots pack proves variety is the spice of life! Bright colors and amazing designs to motivate, collect, trade, and celebrate success. So many uses! Acid free, nontoxic, and safe for photos. 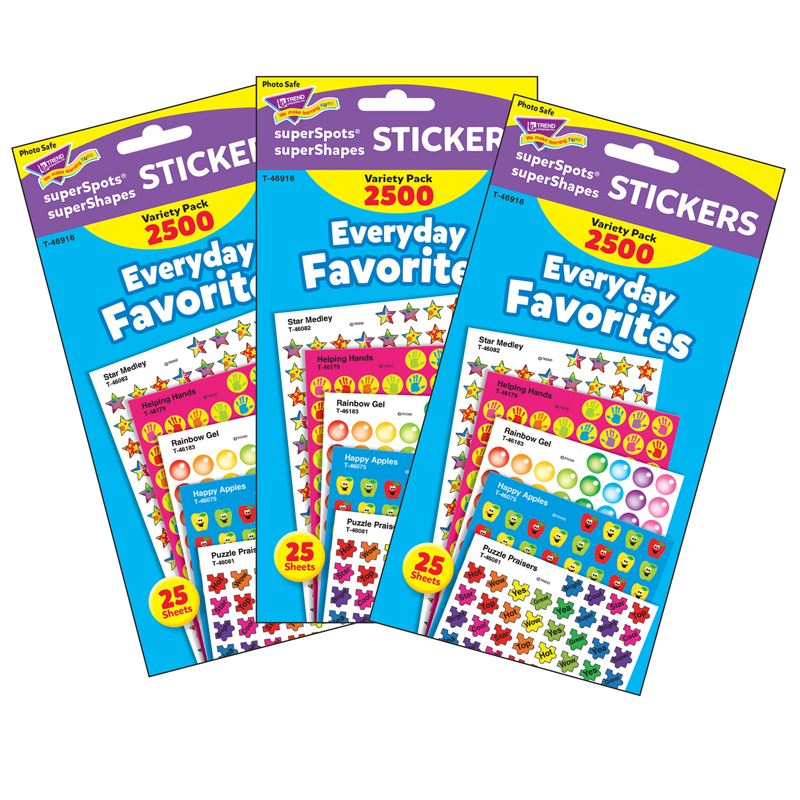 31 designs (Happy Apples, Helping Hands, Puzzle Praisers, Rainbow Gel, Star Medley), 2,500 stickers per pack. Includes 3 packs.